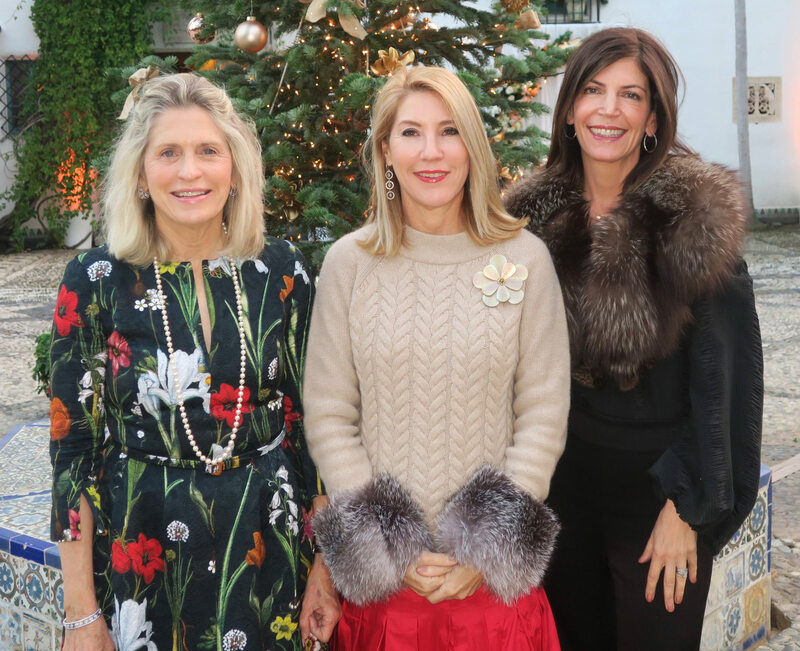 On December 1, a sold-out group of 150 supporters gathered at Casa del Herrero for its jolly Christmas at the Casa celebration. 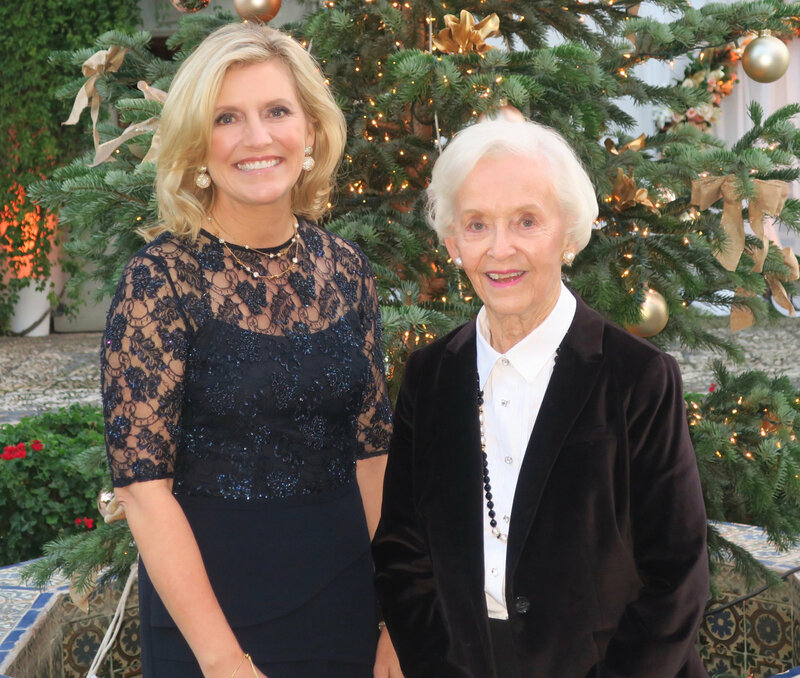 The annual fundraiser helps sustain the operations of this historic Montecito estate. Beautifully adorned Christmas trees inside and out along with other lovely holiday decorations made the estate especially enchanting. Spirits ran high such that the lack of heat on this chilly evening didn’t dampen the mood at all. 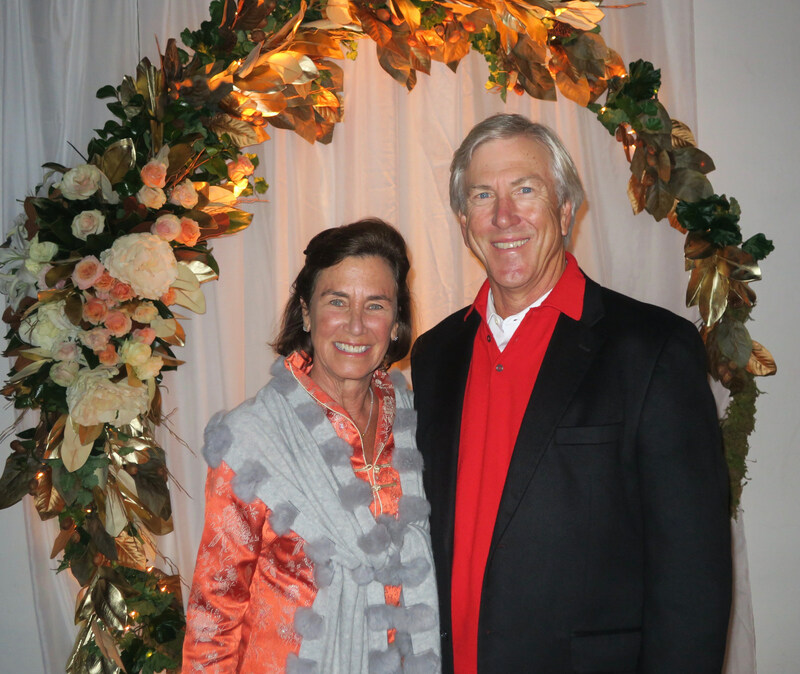 Many supporters and volunteers have been a part of the Casa for years and the event felt more like a grand private party for a group of old friends than a fundraiser. 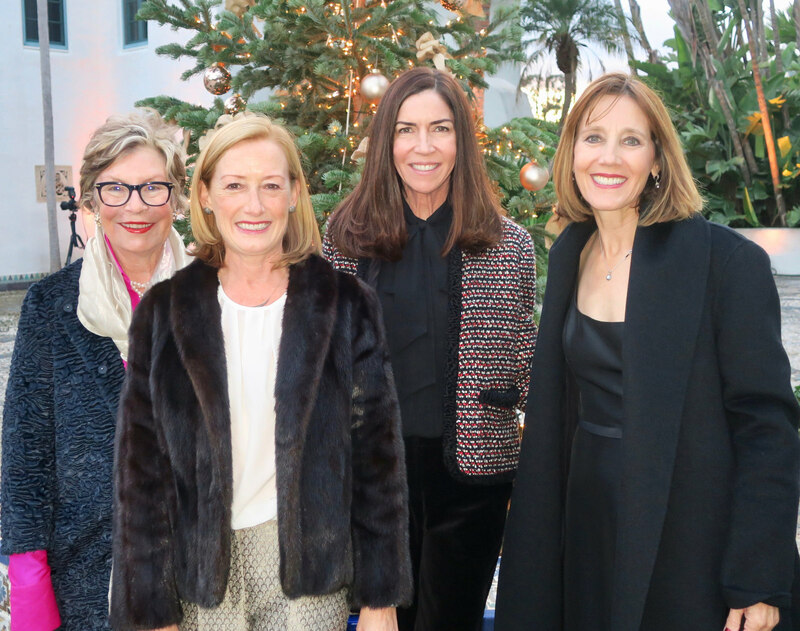 Guests mingled throughout the house, loggia, and main alleé while enjoying hearty passed appetizers like succulent leg of lamb by Dining with Di. 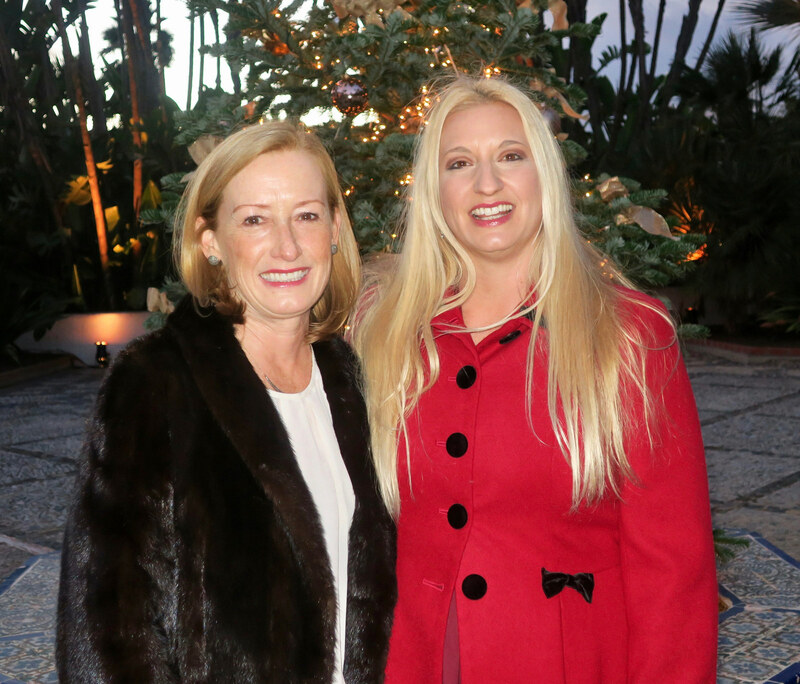 During the short program, Executive Director Jessica Tade and Board Chair Meghan Stoll welcomed the guests and paid tribute to Joan Jackson and Susan Jackson for their leadership and thoughtful stewardship of the Casa over the years. Tade thanked Joan for her role in shaping the organization in its infancy and Susan for her mentoring and friendship and for setting in motion the Casa’s strategic plan. 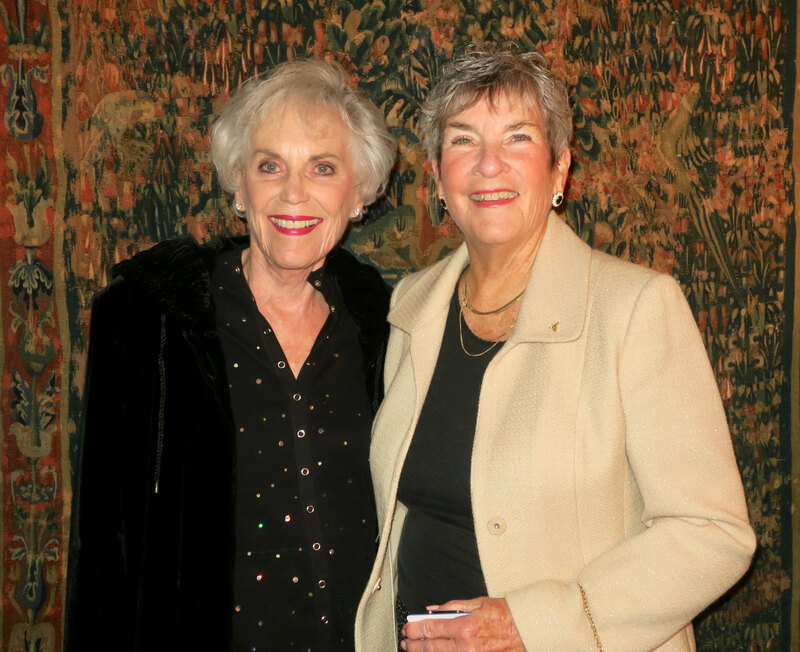 Both women have served many years on the board and have served as board president and on various committees. Susan remains on the board. George Fox Steedman purchased the 11-acre property on East Valley Road in 1922 and commissioned George Washington Smith to build the house. He moved in the day of the 1925 earthquake, which fortunately did not impact the house. The property is on the National Register of Historic Places and has National Historic Landmark status. Casa del Herrero (House of Blacksmith) is lauded as a fine example of Spanish Colonial Revival architecture. The nonprofit that runs it preserves the house and grounds as well as the Steedman’s collection of fine and decorative art objects from the Golden Age of Spain and the family’s books, drawings, and horticultural records. The property was fortunate to not suffer any damage from the Thomas Fire or 1/9 Debris Flow, sitting on an island between Hot Springs and San Ysidro Roads. The property is open to the public for guided tours by appointment. The Casa also offers free onsite programming to youth in elementary through high school in Santa Barbara, Montecito, and Carpinteria. Programs focus on local history, architecture, and the unique plants in the gardens. Casa del Herrero is always seeking garden volunteers. For more info, including about tours and volunteering, go to casadelherrero.com.